These four "Slàinte" magnets celebrate the Irish toast and the good moments spent with friends and family. These four "Slàinte" magnets celebrate the Irish toast and the good moments spent with friends and family. 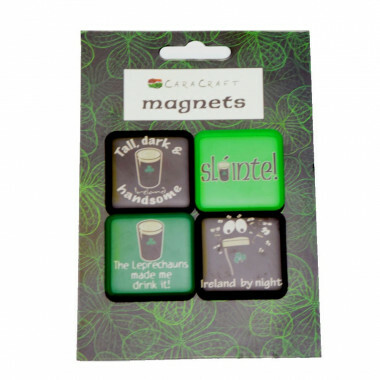 Add a funny and decorative feature to your house decoration, and bring a bit of Ireland home! Epoxy resin and rubber magnet.